Freight Audit and Payment providing business intelligence for your supply chain. Freight Audit and Payment gives you the transportation data you need to optimize your supply chain. Since 1984 TranzAct has been dedicated to offering the best, most comprehensive and customizable options for freight audit and payment. Leverage the freight audit and payment process to gain the transportation data you need to make your supply chain a true competitive advantage. Data is the bedrock of totals transportation spend management. If you lack business intelligence regarding your transportation spend, or your information is inaccurate, you will miss valuable insights into your supply chain. TranzAct's freight audit & payment solution has been successfully employed by hundreds of shippers to pay carriers the correct amount and pay only once. Our accuracy in processing allows us to deliver information that will help you optimize your supply chain. Maintain control of your funds throughout the freight payment process. Unlike many freight audit and freight payment services, you are 100% in control of your company’s funds. TranzAct pioneered methods for clients' freight bills to be paid without float. All freight documents are scanned and available for secure, online viewing 24/7. For accurate tracking and prompt resolution, a log of communications between you, the carrier and TranzAct, is automatically created. Essential security features let you determine what data is collected, how it is reported and who has access. Unlike banks, we will not charge fees to your carriers--which would result in higher transportation rates being passed along to you. Financial institutions provide freight payment services, but are not focused on the transportation industry. They do not have the carrier relationships that we do. Instead of working closely with you carriers, they will charge your carriers fees for "quick payments." Where do carriers find the money to pay those fees? The pass them along to you in the form of higher LTL and truckload rates. Get your freight bills paid quickly and accurately. Comprehensive EDI capabilities streamline information flow, eliminate paperwork, and drastically reduce bills being sent to resolution. Scanned invoices are provided digitally and can be automatically acquired via API. 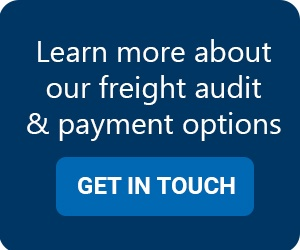 Gain business intelligence through our freight payment reporting tools. Our reporting toolbox includes complete month-end and year-end freight accounting data, with accurate freight accruals. Reports can be generated based on time intervals, triggered by events, or on an ad hoc basis. The visual nature of our Telescope Reporting Tool will allow you to easily identify trends and outliers in your transportation activity at a high level, while also allowing you to drill down into the detail as you desire. All reports can be exported into common formats such as XML, Excel or PDF for effortless sharing of crucial data, and our analytical tools will even convert to multiple currencies your global efforts. Who says freight payment has to be painful? The advanced features and capabilities built into our system are the result of feedback from our customers and carriers combined with over 30 years of experience. We make it easy for our clients to get up and running. All TranzAct applications integrate fully with one another as well as with any existing ERP system. This eliminates time-consuming, costly implementation and ensures speed to business results as well as peak performance 24/7. Ready to start getting the most out of our freight spend? Contact us today. If you'd like to get in touch with us, please send an e-mail to solutions@tranzact.com or give us a call at 630-833-0890.